We are centrally located in the Waterloo Region but that doesn't mean we are limited to just our community. We travel regularly to provide imaging and creative services at our customer's or event location. When you are in need of a skilled and experienced content creator, hire the best. We're ready to serve you. The demand for our skills and qualifications has taken us to places such as Nunavut, China, Cuba, Mexico, and the Philippines. For the past 25 years we have mainly existed as a sub-contract/freelance service to the broader video production community. We have however produced a number of projects for end customers as well. In 2016 we refocussed our business to directly attract the end customer with a variety of expanded services including traditional video production, live event multi-camera streaming, website and graphic design, corporate photography. Here are some of the highlights from the past few decades since David Delouchery completed the Film and Television Production Program at Humber College in 1990. From 1991 to 1993, David was engaged in the post-production of an independent feature “Dinner’s on the Table”. Editing was conducted in both Toronto and Montreal and it was accepted at the 1994 Montreal World Film Festival and the Orlando Film Festival. During this period, he was in development of a documentary about the drum corps activity titled “Of Sight & Sound”. While the project stalled at the financing stage it did have support from the National Film Board as well as the “Sunday Arts and Entertainment” series on CBC. Legendary Canadian film producer Don Haig signed on as Executive Producer as well. 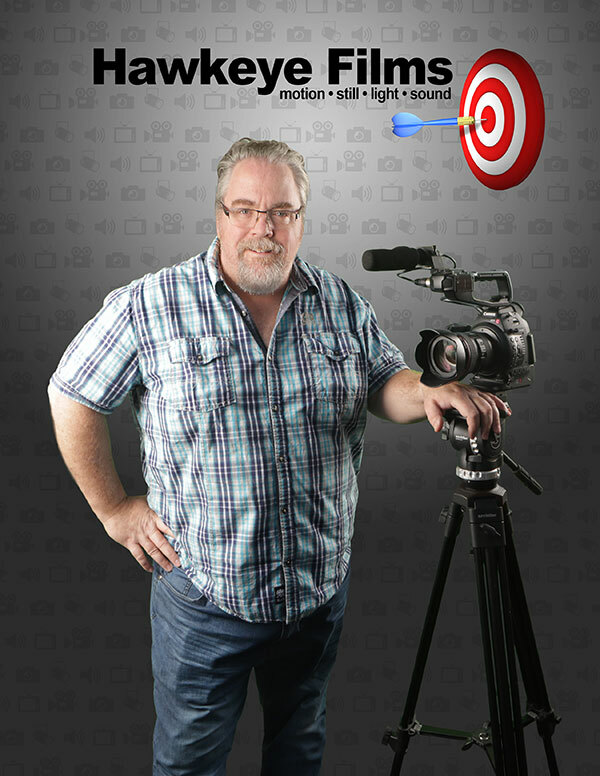 In the early years of getting established David worked for a number of wedding video producers including “A Love Story Video”, “JB in Motion” as well as “Advanced Video Techniques”. During the early 90’s he also worked as a grip on a number of movies and TV series in Toronto including David Cronenberg’s "M.Butterfly" which starred Jeremy Irons. His affiliations with JB in Motion and AVT resulted in working on a number of quality corporate videos for a variety of local businesses. This was in the days when videos were edited tape to tape and S-VHS was the common format for independent producers. As well, a magical little hardware/software solution called the Video Toaster was a popular editing tool. This was also the early days for Adobe as well and programs like Photoshop and After Effects were just on the verge of becoming the de-facto creative software for the industry. Some of the highlights included on-site 36 hour marathon edits of conferences in Banff and Montebello for M&M Meat Shops. In 1995, the time had come to invest in some equipment and he purchased a Sony Betacam SP 537a/PVV1 broadcast camera. This camera saw almost 9 years of service until I made the switch to HD capture. Local producers like Pinelake Communications, Fred Smith Studios, Gravity Productions and Memory Tree Productions relied on our imaging and equipment rental service. Shortly thereafter he was asked to be one of 6 camera operators for a Japanese TV special that featured conductor Chosei Komatsu and the KW Symphony that was produced by C to C Productions. During the summer of 1995, David travelled to Cuba for 3 weeks to film a chain of hotels owned by Sol Melia for producer Simon Bell. A great experience that included swimming with dolphins. While he has had the great opportunity to edit a 16mm feature film there were a number of other acquisition and post production technologies ha has worked extensively with over the years including Pinnacle ADO, Media100, Final Cut Pro, Adobe Premiere, S-VHS, MII, Betacam SP, Digital8, mini-DV, DV-Cam and a variety of tapeless technologies before digital media became the norm. At the end of 1995, David began a long term relationship with Waxworks Creative. Big name clients included Home Hardware, Manulife, Roadtrek and M&M Meat Shops. The focus was on the automotive, manufacturing, insurance, medical and food industries. Work included shoots in the Philippines and Mexico. In 1999, he produced a promotional video for Safe Haven a children’s shelter at the Betty Thompson Youth Centre. He documented the dilapidated state of the old Waterloo County Governor's house and County Gaol prior to it's restoration. Years later, David was surprised to discover that frame grabs from the video had been printed and displayed around the site as a before and after testament. David also went in a 2 week cultural trip to Kunming China to help document a western and eastern arts exchange for the International Festival of the Arts. As well he helped producer Kelly Milne with the editing on a series of medical training videos for her company “Images for Education”. In 2000 he developed a how-to-TV series with long time collaborator Fred Gayford called “The Fibreglass Workshop” while their aspirations were large the life of the idea was not and despite significant effort they only completed one episode which saw limited distribution. In 2001, David's bond with Waxworks Creative was reinforced when he became the department head of Video. He also produced the submission video for the winning bid for the Guelph Storm Hockey Club to host the 2002 Memorial Cup Championships. This elaborate production included casting an actor to portray historical figure John McCrae, filming at the Hockey Hall of Fame as well as interviewing hockey legends. 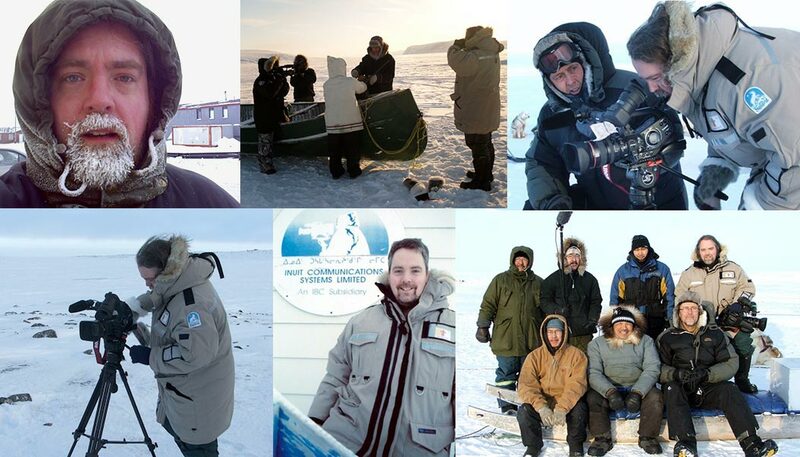 In 2002, David made the first of several trips to Iqaluit, Nunavut in the arctic to do editing and teach at Inuit Communications Systems Ltd. Video productions included education pieces on anti-smoking and diabetes campaigns as well as a 6 part TV series on Inuit Elders. He taught various production software & equipment training classes and made a highly effective Inuit recruitment video for the RCMP V-Divition on behalf of Uqsiq Communications. This eventually resulted in doing the post production for 2 documentaries for Piksuk Media. The first film, “The Mystery of Arqioq” was produced for APTN and the 2nd “Qimmit – A Tale of Two Truths” was a National Film Board co-production and concluded with the sound mix and on-line output being completed at the legendary NFB facilities in Montreal. In 2004, David formed a creative partnership with longtime collaborator Darcy Hoover to produce creative works under the banner “Tundra Filmworks”. We have 2 documentaries in production focussed on local historical figures, photographer James Esson and landscape painter Homer Watson. By the mid 2000's David began to provide concert lighting and live sound for select customers like The Registry Theatre and the Mill Race Folk Society. In 2009, he produced a series of web ads for the Mill Race Folk Festival in Cambridge. In 2016, the decision was made to focus on building Hawkeye Films client list and services. We added a multi-camera live switched solution to provide affordable live event video capture. We are currently capable of mixing up to 8 camera feeds with sound as well as i-mag projection and live web streaming. In addition, we continue to provide traditional high quality video production services, graphic design for social media advertising and commercial photography as well. When it comes to image capture and creation there is little we are incapable of. We recently completed the transfer and consolidation of 55 industrial 16mm & 8mm films from the 1920’s through to the 1980’s to digital video. The past 25 years have been an interesting journey for sure. We look forward to the next 25 years as being even more rewarding as we continue to forge new paths, relationships and exciting projects.